This joint is like the perfect mix of smooth, upbeat pop and hip-hop classicism! From the live musicians to the black and white montage, the marriage of catchy swing and urban depth personified classically and tastefully consumated Justin Timberlake’s return. And HOV definitely stamped this with this lyrical seal. 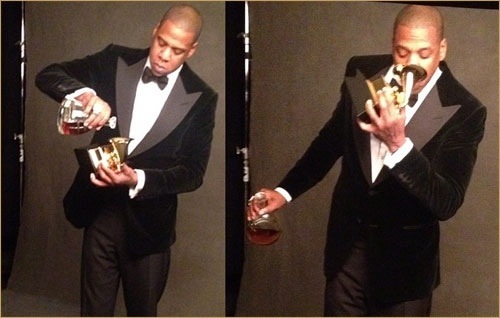 By the way, Jigga drank out of his Grammy last night. If you ain’t doing this (insert above photo) don’t rap about your rap skills or power anymore!